for publishers of all sizes. Bringing together video content created by publishers from around the world. Easily and securely purchase video content from a variety of publishers. Watch it on most smart devices. Start watching immediately! Nothing to download or store on your device. Your source for unique, niche, non-theatrical video content. Content that previously could only be found on DVD. You can be up and running in less than 60 seconds. High definition streaming to most computers, smart phones and tablets. Get the big screen experience on all Roku-enabled TVs and devices. All you need is an internet connection. Images captured from actual JumpingJack HD 1080p video streams. Big Buck Bunny courtesy of Blender.org. But there is no need to wait for the app! You can stream your JumpingJack videos today using the browser on your Android device. 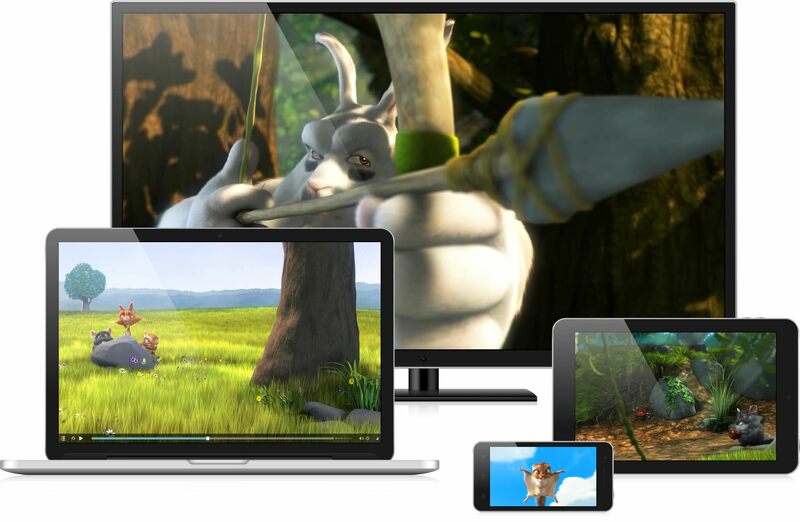 JumpingJack video streaming supports most modern browsers on Mac, PC, Android and iOS. Are you a DVD publisher wanting to sell streaming content? Have video content to sell?